This is ICloud Unlock (Remove Apple ID) service for IPhone/IPad/IPod/iWatch in Lost & Stolen mode. Your device must be sold by Russian Federation. Other country not support! 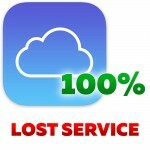 Only 90-95% gadget done with this service. For unlock need only IMEI.